Alcatraz O.G. Regular from the NorStar Genetics Seeds marijuana seed bank, is a high performance, Photoperiod Regular cannabis strain. 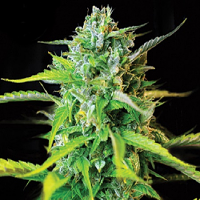 Perfect for growing weed indoors and outdoors, these weed seeds produce yields of between 450 – 550g/m2 and are extremely potent and tasty with their thick, penetrating vapour. If you’re looking to buy cheap cannabis seeds online in the UK, make sure you check out Sensible Seeds. We supply over 3,000 different strains from the world’s leading marijuana seed banks. Genetics: Hells Angels O.G. Kush x Frisco O.G.